Anyone who owns a 1990's Forge figure can't be 100% evil. picked that up in a toyshop in Italy along with Apocalypse(?) , there's a another similar boxful of Starwars kicking about with more of the same up the loft. Update in the cave of Tharg! So...it was necessary to increase progage per shelf to 150. 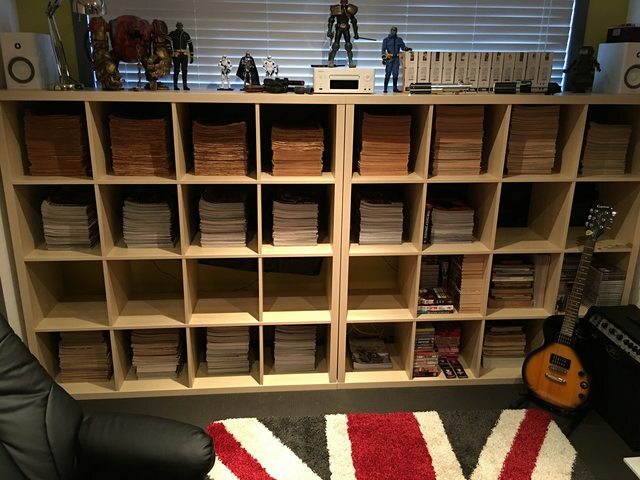 As a result, freeing up 7 shelves for the future. After crunching the data - I now have room for an additional 1050 progs - which equates to over 19 years and should get me comfortably through to the year 2036. By which time, we will hopefully be viewing the weekly prog in a VR environment. 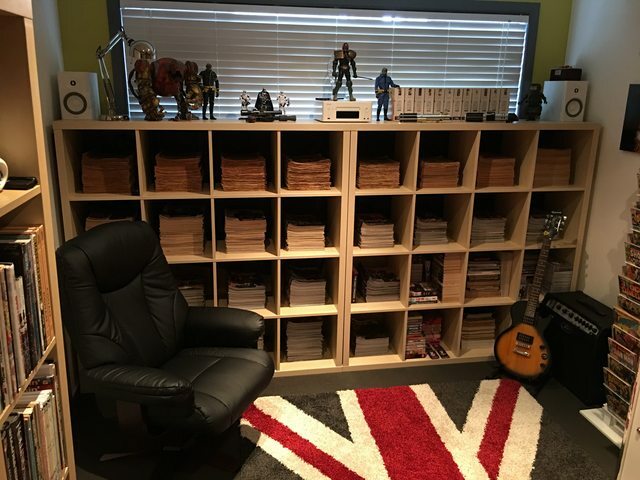 Also amazing to think that the Megazine is fast approaching 500 issues (they take up the five shelves in the bottom left of the photo). 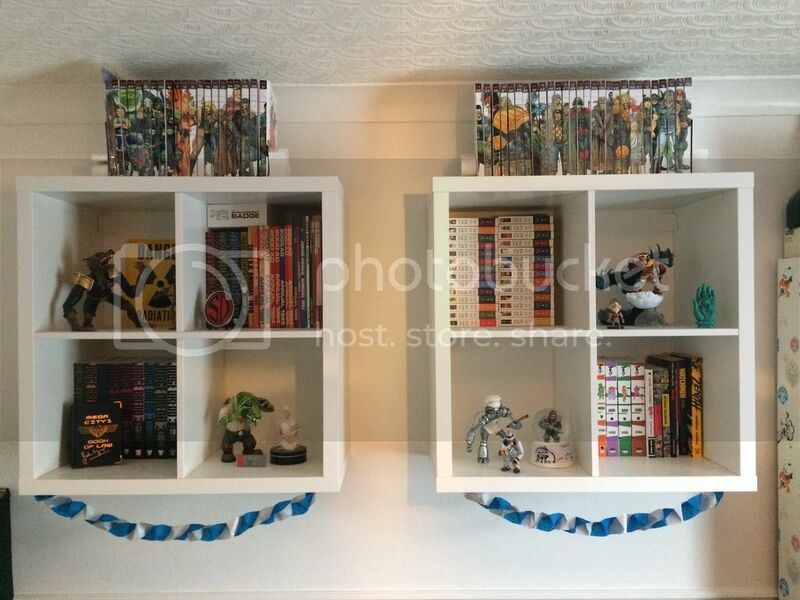 Having just completed work on my gable end (oooer Matron) next project, shelves...book shelves and lots of em! Well if the offer i've made on a house goes through without a hitch i'll probably be updating a lot as I erect my comichood (wahey!). Hope the house offer went through fairly painlessly (totally painlessly would be ideal, but we don't live in a perfect world, so I'm being realistic). In the present we'll be getting Meg 400 next month - good to get confirmation from the future that it'll last at least another 100 months! Apologies for the typo. I think I confused myself and thought I had 100 megs per shelf. Of course, we’re approaching 400.